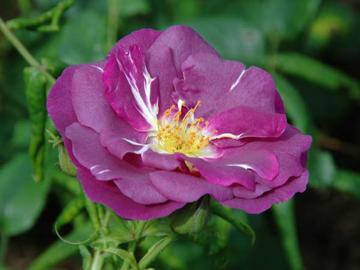 Unsual dark plum purple flower which fade to slate bluish-grey shade, one of the closest to a blue-flowered rose. Can be grown as a climber or pruned as a tall floribunda. Sweetly scented. Mid-green foliage. Good disease resistance.